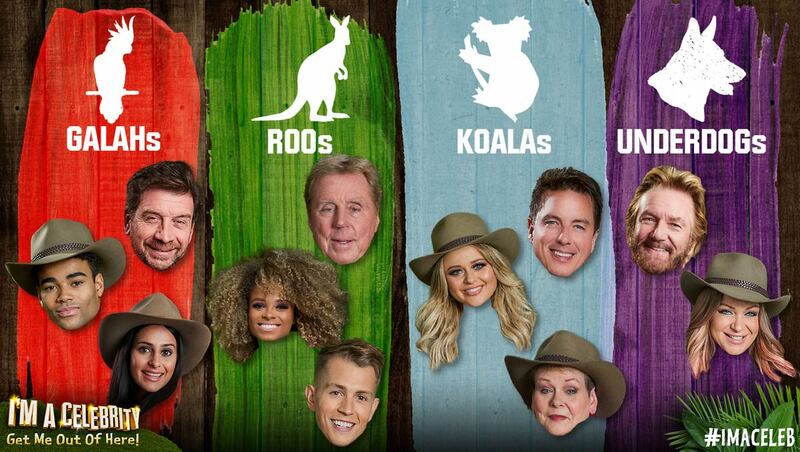 Your weekly rundown on all things related to I'm a Celebrity! 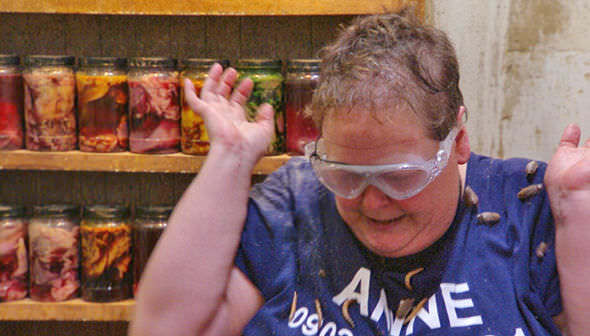 On Day 10, We saw Anne take on a Bushtucker Trial where she absolutely destroyed it! The campmates got a decent sized meal as Anne managed to go through rooms stinking of offal and filled with all kinds of critters. She seemed to be completely fine with everything and came out from the challenge with 7 out of 11 stars which is a very respectable score. The camp was very happy with this result and acknowledged the struggle Anne must have gone through. Fleur and Malique also put on their youth influence to Harry and taught him some slang which he said he was going to try and use around his wife when he gets out of the jungle! It wasn't all fun and games though, as Malique managed to drench John's belongings in candle wax by leaving the candle on overnight. In Day 11, we began to see even more outbreaks of anger in the camp as Rita and John argue about the subject of rice, with John saying that "food causes arguments", This was caused because Rita was not happy when John and Sair decided it was best for the camp to only have 4 rations of food to share among 11 people in order to conserve food. Rita wanted a camp vote and tried to overrule John. This caused John to proclaim that he would cook all of the rice and this prompted further arguments. DIY SOS host, Nick Knowles, quickly consoled John ensuring him that Rita and the girls were most likely "due on". Day 11 also saw the start of the Immunity Games. Dec and Holly told the camp that Harry, Nick and John had been chosen to take part in the Deadly Dash, which would decide the team captains and their performance in the Dash would determine their chances of getting the best campmates. 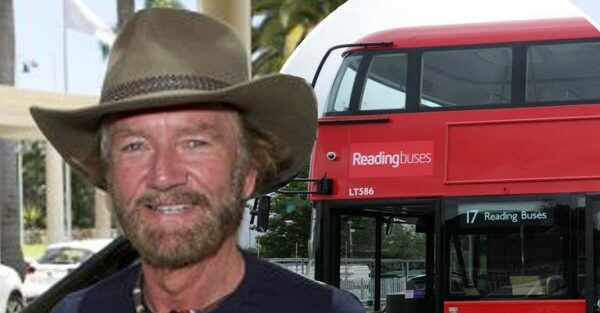 Day 12 prompted a response from a local council in Bristol after Noel Edmonds admitted that he avoided traffic laws. He cited that he had bought a black cab so that he could get to work quickly as he could go in the bus lane, he said that he later received a ticket for doing this and instead went and bought a Routemaster bus so that he could drive in the bus lane as you can drive a Bus with a normal car licence as long as there are no more than 9 people on board. The first trials of the Immunity Games also took place. The first saw Nick, Harry and John collect six puzzle pieces from 6 "hell holes" before assembling them in the form of a gold medal in the box at the end. Harry got off to a speedy start, soon followed by John and Nick was miles behind; however, it ended with Nick in 1st place! Nick chose Malique and Sair to be on his team. John picked Emily and Anne whilst Harry picked Fleur and James. This left Noel and Rita to form their own team called "The Underdogs". The second trial saw Emily, Rita, James and Malique all fight in a race to keep their boat from sinking. This saw some shady tactics from Rita which backfired as she went out first and Emily went on to win the trial. The third trial saw Noel, Sair, Fleur and Anne take on "the Gymnasium" where the groups had to hold onto a set of rings for as long as possible whilst being sprayed with water and standing in the darkness. Anne let go after the other teams intimidated her to do so and Noel won in the tiebreaker. Harry's team still finished top though and they got to eat dinner. The last of the Immunity Games kicked off with a Race with four teams battling to win food and immunity. It was a drinking challenge, which was deemed to be a bit unfair as Nick had plenty of experience and went on to win the challenge to gain his team immunity. Nick claimed that he didn't want to win, and this caused Harry to get upset claiming that everyone there wanted to win and there was no point lying about that. There was one last opportunity to get immunity. Fleur, John, Anne, Emily, Harry and James went to the Velodrome and took to bikes to try and get gold medals with the top two winning immunity. Anne didn't even attempt the challenge and John and Fleur came out as victors. Those who won immunity also got a nice dinner whilst the rest got rice and beans. 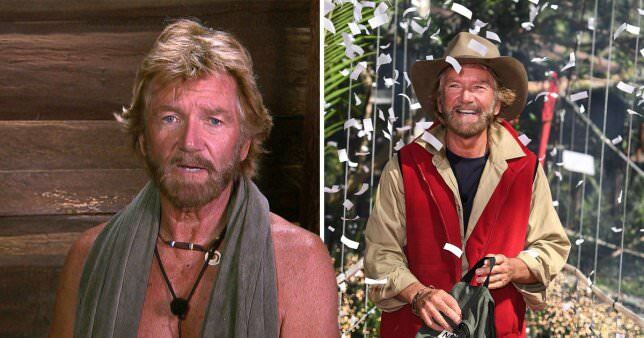 Noel was the first celebrity to leave the camp, despite being the last one to enter, he said that being in the jungle "was in the top 10 Noel moments of his life.". Sair smashed the Bushtucker Trial which included tight tunnels off a central sewer which was filled with critters. 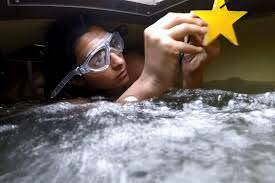 She completed the challenge with little difficulty and left with 10 out of 10 stars which lead to everyone being invited to eat eel for dinner that night. John and Emily also took on the Dingo Dollar challenge which was based off replicating a circuit board and for every wrong wiring, they would get an electric shock. The treat was biscuits; however, the camp answered the question incorrectly and Kiosk Kev shut the shutters. Rita was also filmed picking her spots, which caused a whole issue in the camp where they all started to pop their own pimples and each other. Harry and James thought it was disgusting whilst John was inclined to write a song about the experience. James was also made the camp leader, just beating Rita and Harry. James chose Rita as his deputy as she was closest in votes behind him. Fleur takes part in today's Bushtucker Trial where she was strapped to a giant pizza base whilst rotten toppings were poured over her. She would then have to smash open a series of Pinata which contained insects to liberate the stars and feed the celebs. She gained all 10 stars. It was another Dingo Dollar failure as the camp failed to answer the question correctly again and the shutters closed again. John fell down some slippery steps and was in some pain after twisting his ankle. He went to the hospital and it was a sprain, not a break which was initially feared. He rejoined the camp on Monday's episode. Malique was voted out of the jungle and it seemed to make Fleur feel a little upset as she saw Malique as a little brother. who do you think is going to be king or queen of the jungle? Just what I needed this week. I've been working nights so missed all of I'm a Celeb!